Google now says it is "evaluating" bringing the fingerprint scanner gestures to the Nexus 5X and 6P, in an updated statement to Android Police. Many Nexus 5X and 6P owners were understandably annoyed after discovering that several of the headline features announced for the new Pixel and Pixel XL would not be coming to their own devices. The Nexus line had always been synonymous to getting the latest and greatest directly from Google, and suddenly realizing that wasn't entirely true in a post-Nexus era left some users with a bad taste in their mouth. 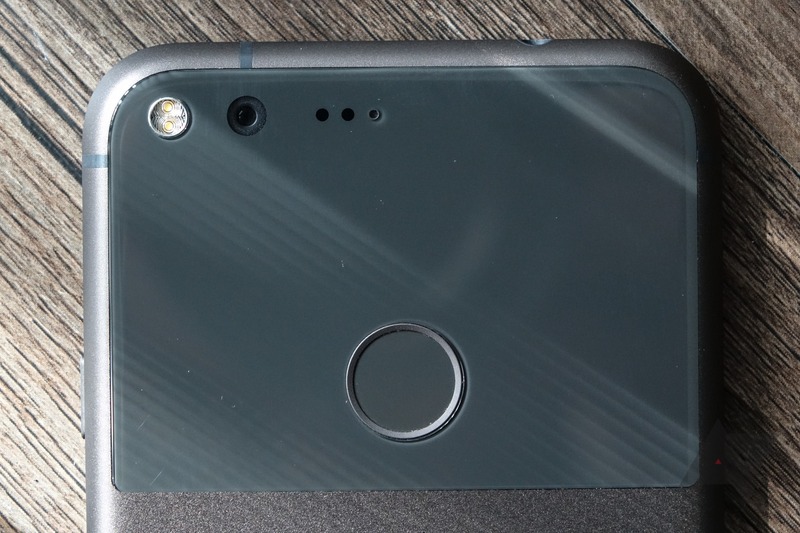 To add insult to injury, it had recently come to light that both the Nexus 6P and the Pixel shared the exact same fingerprint sensor, triggering the habitual witch hunt on Reddit because of the former's lack of fingerprint swipe gestures. Commenting on the issue via e-mail, Ian Lake, a Developer Advocate at Google, attributed the problem to the firmware version used on the Nexus 6P's fingerprint sensor. "Same hardware doesn't mean same capabilities, alas." Despite using the same components as the Pixel, the older firmware on the 6P means that it simply does not support any kind of gesture detection on the sensor. That's not to say that it would have been impossible to add gesture support to last year's Nexus devices — technically, it's not even impossible to install Marshmallow on a Nexus S — but at a certain point, it becomes more a matter of what is feasible than what is possible, and it is certainly understandable that Google might have wanted to direct that engineering effort elsewhere. Even existing implementations that have unofficially added fingerprint swipe gestures to the Nexus 6P do so by using an ingenious but hacky method of classifying the Finger moved too fast status as swipe. Nick Desaulniers, another Googler, stated that adding support was "doable," but would require updating the firmware and the hardware abstraction layer (HAL). Responding to comment via e-mail, Google PR corroborated that "the fingerprint hardware is the same but the firmware is different on Pixel (eg. supports swipe gestures)." It's unclear if this means that Google is considering adding support somewhere down the road or if the implication was merely that support is theoretically possible. In the end, it's clear that not having swipe gestures on the Nexus 5X and 6P was not just a matter of Google purposefully handicapping an older device in order to sell more of a newer one. Turns out that there's more to hardware development than just tacking on a sensor. Whodathunk? This article was updated to clarify that the comments provided by Ian Lake were made via e-mail, and with additional comments by Google PR and Googler Nick Desaulniers.